Antique Code Show Super Mario Bros – the iconic game for Nintendo’s Famicom, or NES to those of us outside Japan – was released 30 years ago. Nintendo has been celebrating the build up to its anniversary, which takes place on Sunday, 13 September, by offering a competition to see who can make the best Mario-themed video – with a zillion and one re-interpretations of the infamous background tunes, as one might expect. I do believe there were some blacked-up Marios in one video, too. But that masterpiece seems to have been removed. Can’t think why. 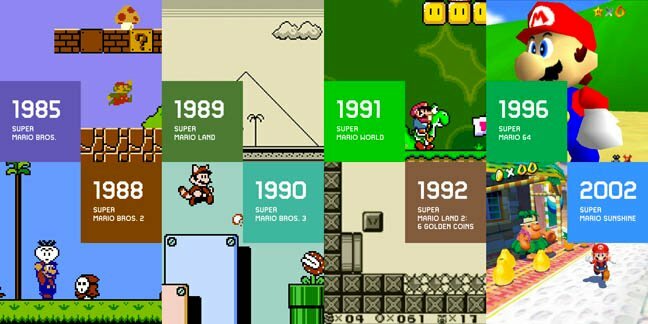 It’s not that Super Mario Bros specifically wrote the rule-book for platforming games – but its global success (shifting over 40 million units worldwide) began one of the longest and most distinctive gaming franchises around. It revived the US games market after the crash of 1983 and, in many respects, represents the beginning of mass home console gaming. It’s interesting to note that Mario’s pixelated design emerged from out of the 8-bit hardware limitations he inhabited. He wore a hat in order to overcome the problem of representing and animating hair in such a small screen area. Similarly, his distinctive moustache avoided the impossible task of drawing a mouth with very limited spare pixels. 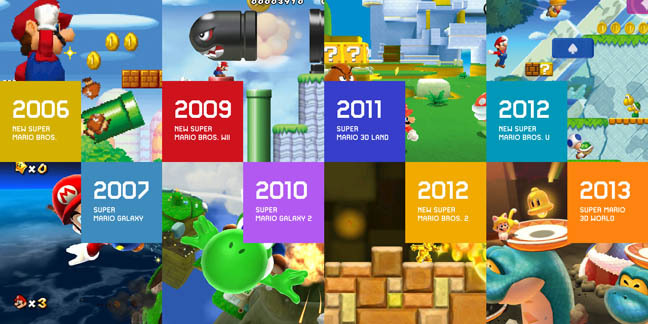 In all of the celebrations, Nintendo seems to have forgotten that Mario owes a debt to three predecessor gaming hits as well, also created by notorious Nintendo game design guru Shigeru Miyamoto. This celebrated genius of modern gaming was originally a graphics man, not a programmer – and some have commented on how his lack of programming knowledge liberated his ideas from the constraints of that early tech. Still, no doubt there are many less-well-known programming heroes who had the difficult task of interpreting his ideas and actually making them work. Donkey Kong (1981) was, in reality, Mario’s first game outing, where he appeared under the original nondescript moniker of Jumpman, while his occupation was envisaged as carpenter, not plumber. 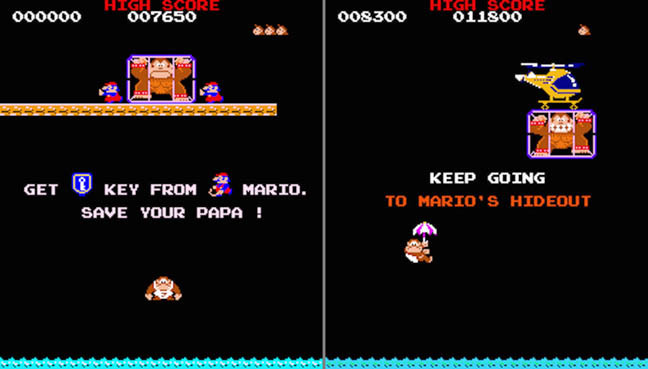 The coin-op featured four static levels, with Mario negotiating his way to the top of each stage, on his quest to win back his “lady” – later renamed Pauline. The title was a way for Nintendo to rebadge and re-sell its failed Radar Scope arcade hardware in the States and, luckily for Miyamoto-san, it was a huge success. A sequel, Donkey Kong Jr. arrived the following year, presenting Mario as Donkey Kong’s captor – strangely, the only time he’s played the bad guy. Donkey Kong’s son climbs ropes, avoids enemies and collects keys to eventually rescue his father, whereby Mario is kicked off-screen to have a good think about his future. Mario Bros – the non-super version from 1983 – was another fixed screen platformer, this time introducing brother Luigi into the mean sewers of New York. It offered two player simultaneous-play with plumbing finally on the agenda, and enemies dispatched through head-butts and kicks. Admittedly these are not plumbers’ usual moves, but there were pipes and a few drips around to keep everything looking legit. But Space Invaders wasn't good enough? How about Minecraft?